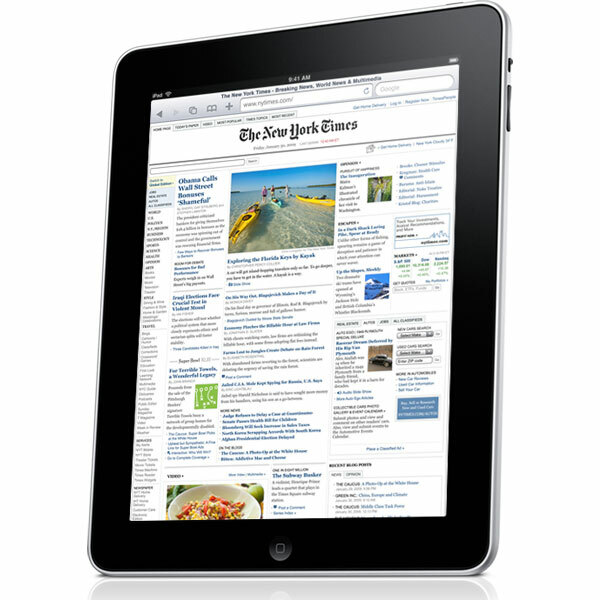 We heard the other day that Apple [AAPL] will start shipping the iPad 3G from the 7th of May 2010 in the US. We also heard that people who had pre-ordered an iPad 3G would be getting theirs a little earlier at the end of April. Apple has just announced that people who pre-ordered the iPad 3G will receive their shiny new 3G enabled iPad on Friday the 30th of April. They also announced that the 3G iPad would be available in their retail stores from 5PM on the 30th of April, although we just checked their website and it is still showing the 3G iPad as shipping on May 7th at the time of writing. Apple today announced that the Wi-Fi + 3G models of its magical iPad™ will be delivered to US customers who’ve pre-ordered on Friday, April 30, and will be available in Apple retail stores the same day starting at 5:00 p.m. The rest of us in the UK and Europe have to wait till the end of May 2010 when Apple will start selling both the WiFi iPad and the 3G iPad. If you live outside the US you will be able to pre-order your iPad from the 10th of May 2010.